TEDxPortsmouth is a full-day, community-organized event where we explore big ideas and challenges that affect our community. Our mission is to spark conversation and ignite positive community action by bringing together our community and showcasing new ideas from local, regional, and national voices across diverse disciplines and backgrounds. 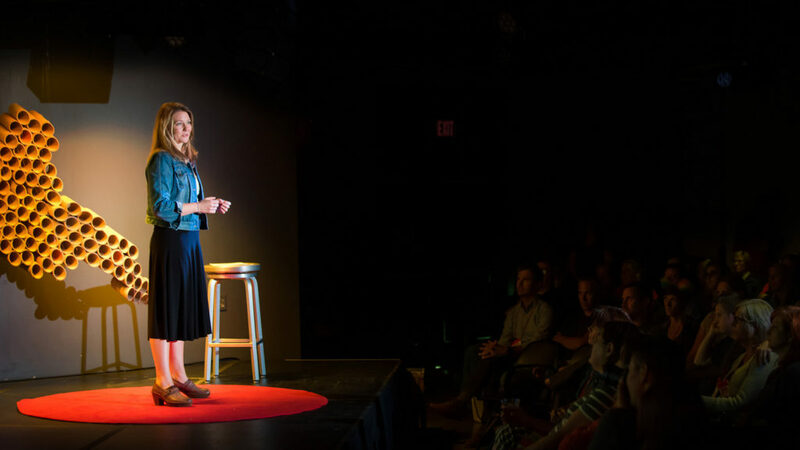 Formerly TEDxPiscataquaRiver, this TEDx event is entering our 6th year bringing new ideas to an engaged crowd of community leaders and big thinkers. On Friday, September 7th, 2018, an exciting group of new speakers and performers will take the stage at our new location: The Music Hall’s Historic Theater. Fifteen speakers and several performing acts will explore this year’s theme: “That Was Then.” We’re going to take stock of the way things were, look at how things are and then start a conversation about how things will be. Our speakers will help us extract the good and discard the unwanted items in our collective past; we can explore our community’s successes and failures; we can learn from our history and rise above its repetition. We’ll look at how we’ve historically treated our environment, raised our children, and interacted with those different from us to see if we’re stuck in outdated behaviors and concepts and practices. We’ll hear innovative ideas that might solve our community’s most significant challenges, revolutionize our businesses, make our towns more inviting, and maybe even save the planet. We invite you to join us for this unforgettable day as we look back and dream forward. For more information, visit TEDxPortsmouth.com.